The car you see in the picture here is claimed to be the coming Ford GT500 Mustang. 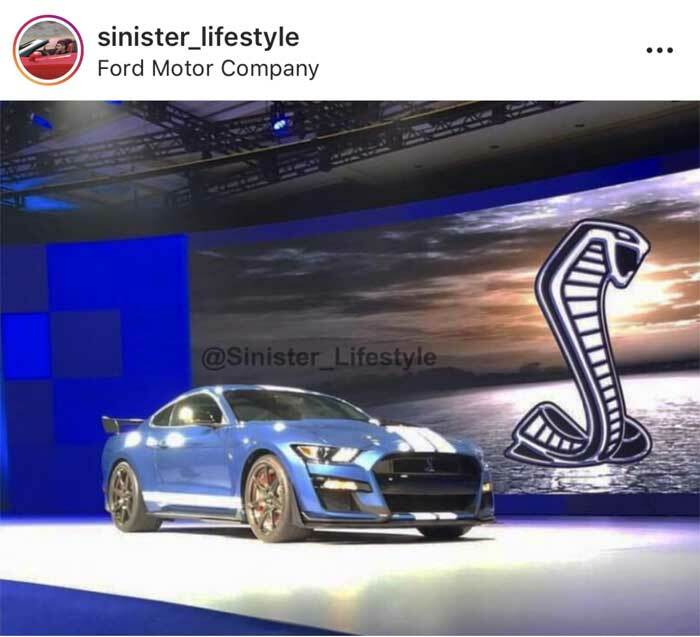 The image is said to come from a dealer presentation on the car held in Las Vegas. While reports indicate that Ford gathered up smartphones at the door, at least one got through to snap the pic. The car in the image looks like what Ford has been teasing. The poster also reports that the specs given at the meeting where between 780 and 790hp. The rumored 10-speed automatic transmission will be an option. That would seem to indicate a 6-speed manual would be standard. The car appears to have lots of aerodynamic tidbits on it and is said to use lots of carbon fiber. The gaping front end is to allow the supercharged engine to slurp the air it needs to stay cool and make power.